Let us make your 3 hour scenic river cruise even more enjoyable!! Cronulla and National Park Ferry Cruises can arrange taste tempting lunches for your group. 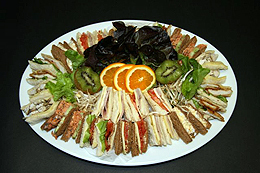 Strawberry Fair Cafe (one of Cronulla’s best cafe’s) are combining with us and supplying light snacks and lunches for you to enjoy whilst relaxing on your cruise. 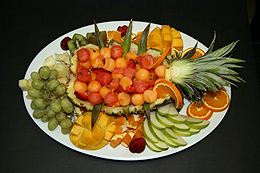 Fresh Fruit Platter – $5.00 per person. All you need to do is place your order with Cronualla and National Park Ferry Cruises 48 hours prior to your cruise and we will do the rest.